The number of severe arsenic contaminated patients is three times higher than the previous estimation done around two yeas ago, says a joint study of the government and JICA. The study shows the number of arsenicosis patients are increasing alarmingly due to want of safe water sources in affected areas. The study conducted under the project titled "Sustainable Arsenic Mitigation under Integrated Local Government System (SAM-ILGS)" also finds many identified patients died in last five years without proper treatment. "The actual number of patients in the country could be even more than triple than that was identified previously if the contaminated areas are surveyed again," Kazuyuki Kawahara, project manager, said. 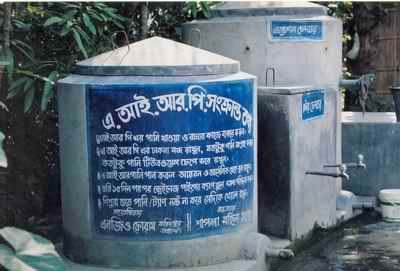 The first government arsenic project titled Bangladesh Arsenic Mitigation and Water Supply Project (BAMWSP) started in January 1998 and continued until June 2006. Kawahara said they found 799 patients in Chowgachha upazila in Jessore while the previous BAMWSP found only 275 patients there. "The main reason of increasing number of patients is that previously the patients were identified by the field workers under BAMWSP whereas the patients have been identified under the new [SAM-ILGS] project by health assistants and confirmed by doctors," Kawahara added. He said BAMWSP identified around 38,000 arsenicosis patients in 268 upazilas across the country. But if the areas are surveyed again and doctors confirm the patients, the number would cross even 1 lakh. He emphasised initiating a fresh survey on the most vulnerable areas in Comilla, Chandpur, Chapainawabganj and Faridpur. According to the previous project, 4,036 patients were identified alone in Comilla, 2,600 in Chandpur, 2,321 in Chapainawabganj and 903 in Faridpur. The number of patients is drastically increasing due to lapse in constant vigilance in mitigating contamination and because many abandoned the instruments supplied by the government and donors. 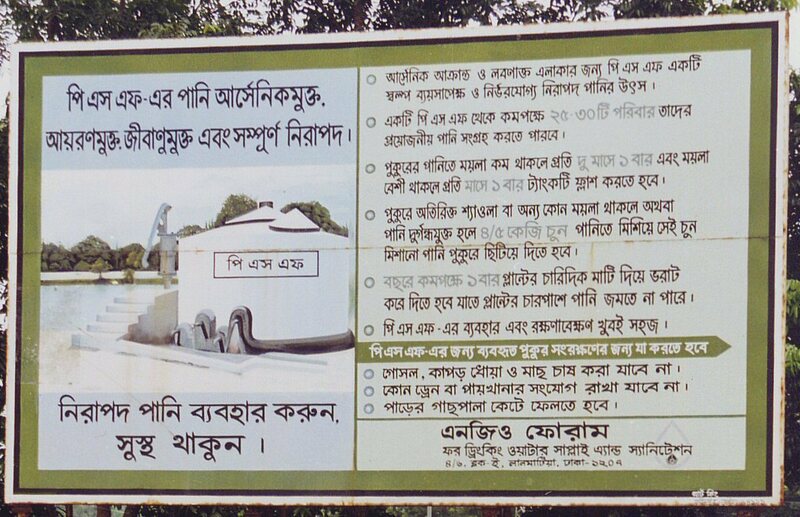 Admitting the rising trend of arsenic contamination, SAM-ILGS Project Director and Deputy Secretary (Water Supply) of Local Government Division M Shafiqul Islam said the users abandon water-purifying devices due to lack of maintenance, thus affecting more people. "People must use purified water in the contaminated areas. There's no way left to get rid of the diseases as most of the contaminated areas have high level of arsenic existence," he added. The project consultant suggests community initiative to raise awareness and initiate users community for maintaining purified water devices. The Department of Public Health and Engineering (DPHE) discovered arsenic contaminated tube-wells for the first time in Chapainawabganj in 1993 and doctors identified arsenicosis patients in the district next year. The government enacted a national policy for arsenic mitigation passed in 2004 to make government and private programs to mitigate arsenic problem coordinately. 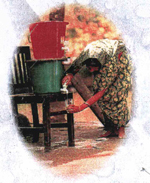 BAMWSP identified 1.44 million arsenic contaminated tube-wells out of 4.95 million in 270 upazilas (Daily Star, March 31, 2008). Speaking at the Royal Geographical Society (RGS) annual meeting in London, scientists said this will lead to higher rates of cancer in the future. South and East Asia account for more than half of the known cases globally. 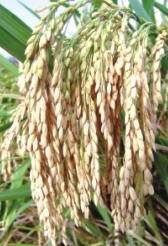 Eating large amounts of rice grown in affected areas could also be a health risk, scientists said. "It's a global problem, present in 70 countries, probably more," said Peter Ravenscroft, a research associate in geography with Cambridge University. "If you work on drinking water standards used in Europe and North America, then you see that about 140 million people around the world are above those levels and at risk." "I don't know of one government agency which has given this the priority it deserves"
Arsenic consumption leads to higher rates of some cancers, including tumours of the lung, bladder and skin, and other lung conditions. Some of these effects show up decades after the first exposure. "In the long term, one in every 10 people with high concentrations of arsenic in their water will die from it," observed Allan Smith from the University of California at Berkeley. This is the highest known increase in mortality from any environmental exposure." The international response, he said, is not what the scale of the problem merits. "I don't know of one government agency which has given this the priority it deserves," he commented. The first signs that arsenic-contaminated water might be a major health issue emerged in the 1980s, with the documentation of poisoned communities in Bangladesh and the Indian state of West Bengal. In order to avoid drinking surface water, which can be contaminated with bacteria causing diarrhoea and other diseases, aid agencies had been promoting the digging of wells, not suspecting that well water would emerge with elevated levels of arsenic. The metal is present naturally in soil, and leaches into groundwater, with bacteria thought to play a role. 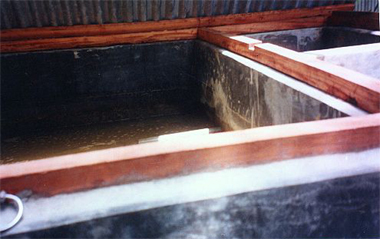 Since then, large-scale contamination has been found in other Asian countries such as China, Cambodia and Vietnam, in South America and Africa. It is less of a problem in North America and Europe where most water is provided by utilities. However, some private wells in the UK may not be tested and could present a problem, Mr Ravenscroft said. Once the threat has been identified, there are remedies, such as as digging deeper wells, purification, and identifying safe surface water supplies. As a matter of priority, scientists at the RGS meeting said, governments should test all wells in order to assess the threat to communities. "Africa, for example, is probably affected less than other continents, but so little is known that we would recommend widespread testing," said Peter Ravenscroft. His Cambridge team has developed computer models aimed at predicting which regions might have the highest risks, taking into account factors such as geology and climate. "We have assessments of the Ganges and Brahmaputra river basins, for example, and then we look for similar basins elsewhere. "There are similar areas in Indonesia and the Philippines, and very little evidence of tests; yet where there has been some testing, in (the Indonesian province of) Aceh for example, signs of arsenic turned up." Asian countries use water for agriculture as well as drinking, and this too can be a source of arsenic poisoning. 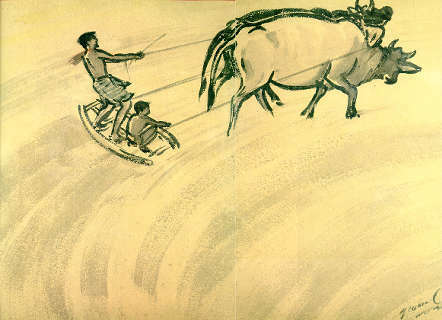 Rice is usually grown in paddy fields, often flooded with water from the same wells. Arsenic is drawn up into the grains which are used for food. Andrew Meharg from Aberdeen University has shown that arsenic transfers from soil to rice about 10 times more efficiently than to other grain crops. This is clearly a problem in countries such as Bangladesh where rice is the staple food, and Professor Meharg believes it could be an issue even in the UK among communities which eat rice frequently. "The average (British) person eats about 10g to 16g of rice per day, but members of the UK Bangladeshi community for example might eat 300g per day," he said. The UK's Food Standards Agency is currently assessing whether this level of consumption carries any risk (Richard Black Environment correspondent, BBC, July 30, 2007). The arsenic contamination of water in the country has posed a serious public health hazard with significant adverse impacts on people's life and livelihood. It has caused an additional burden on the rural water supply management, demanding water treatment and quality surveillance. According to the most recent estimates, about 30 million people are exposed to arsenic poisoning from drinking tube-well water with a contamination level exceeding 50 parts per million (ppm) and 49 million more to contamination level exceeding 10ppm. 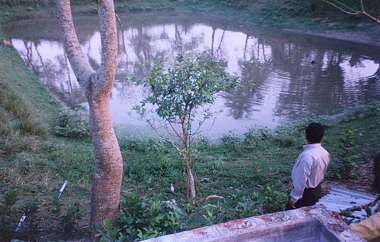 In early 90s, detection of the first cases of arsenicosis in some areas of the country prompted researchers to quickly verify that many of Bangladesh's aquifers are contaminated with arsenic not only above the WHO guidelines level (10ppm) but also above Bangladesh's national standard (50ppm). Considering the situation, the government with assistance from various donors conducted a national screening programme that revealed an alarming picture. Of the total 4.95 million tube-wells in operation in 270 upazilas, 3.5 million were found safe while the rest, 29.12 per cent, were found contaminated by arsenic. The screening programme was conducted in 5,782 villages. 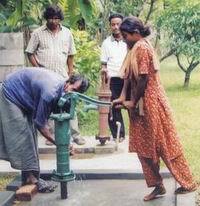 Of them, the water of all the tube-wells in 2,327 villages was found to be contaminated with arsenic. Later, tube-wells in 6,213 more villages were identified, in which the contamination was more than 80 per cent. In the arsenic contamination chart, Chandpur, Munshiganj, Brahmanbaria, Gopalganj, Noakhali, Laxmipur, Barisal, Comilla, Madaripur, and Bagerhat are the top 10 districts. The highest level of 93 per cent contamination was detected in Chandpur, followed by 82.38 per cent in Munshiganj. According to the British Geological Survey, south-eastern Bangladesh, where Matlab upazila is located, is the part of the country with the most pronounced arsenic contamination of tube-well water. It was why the International Centre for Diarrhoeal Disease and Research, Bangladesh (ICDDR,B) in 2001 initiated a research into the health effects of arsenic water contamination in Matlab with funding from the Swedish International Development Agency (Sida), WHO and United Sates Agency for International Development (USAID). The findings of this demographic study show that more than half of the population in a rural area of Bangladesh has been drinking arsenic-contaminated water for many years. 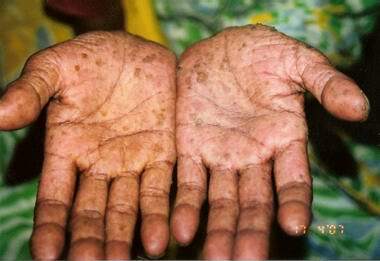 Hence, public health biomedical interventions for early diagnosis and treatment of arsenic-induced skin lesions were felt necessary to make inroads into this massive public-health problem in Bangladesh. To deal with the arsenic health hazards, the health and family welfare ministry undertook a programme to identify the patients, detect the source of water that caused the poisoning, train the medical manpower to manage the cases, and raise awareness among the people about the contamination. A manager of the programme told Holiday that they had detected 38,412 arsenicosis patients in 230 upazilas till last financial year. "We have also conducted screening in 10 more upazilas this year and are now imparting training to the health and medical manpower concerned at district and upazila levels," he said, adding that they would launch a massive awareness campaign by using television and other media channels. The Directorate of Health Services through its programme suggests the affected people first to stop using the water of any suspected source and go for an alternate and safer source. The local health and medical personnel distribute vitamin-rich tablets and also suggest the patients to eat more vegetables to get cured soon. Meanwhile, a rural piped water supply system is being implemented in selected districts under the World Bank-funded Bangladesh Arsenic Mitigation Water Supply Project. The bank provided 50 per cent of the project fund as a grant, the community contributed 12 per cent and the rest is being invested by the sponsor. The sponsor will operate the system for 10 to 12 years and then it will be handed over to the community representatives. The system consists of an overhead tank of 60 cubic metre capacity, connected with about 12,000 metres of pipe network to supply an estimated daily production of 400 cubic metre water from one production well. The Department of Public Health and Engineering (DPHE) has conceived a new project styled Bangladesh Water Supply Programme with a World Bank grant to the tune of $40 million. The project, now under implementation, will be concluded in 2009. The project has taken off with lot of activities on board, with a target of implementing 300 rural piped water schemes, expansion and renovation of the water supply systems at five pourasabhas, and installation of 2,000 safe water sources at 200 villages, DPHE officials said. (Source: Holiday, November 16, 2007). Chanpainawabganj district civil surgeon's office has to date identified 845 of its population suffering from arsenic poisoning. The residents of Chanpainawabganj town itself being the most vulnerable in the district, civil surgeon Md Shah Abdul Ahad told bdnews24.com. "A total of 845 persons have been identified so far as arsenicosis patients and they are being provided with medical treatment, as necessary," the civil surgeon said. "The presence of arsenic above the safety threshold has been ascertained in the water pumped out of the hand tubewells of 115 localities out of the total 128 municipal units." Water levels of groundwater aquifers are falling fast, which is causing the concentration of arsenic to intensify. 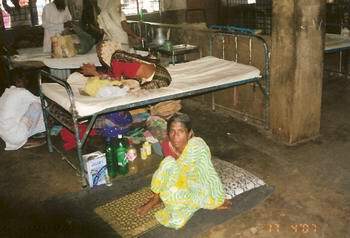 Though the civil surgeon's office has no statistics on the deaths due to arsenic posioning, eight members of a single family were reported by locals to have died of arsenicosis in Uparajarampur. Relative Kalu Mandal (70) told bdnews24.com: "Eight in our family died over the past few years from arsenic poisoning. I've been suffering from the disease for the last 20 years." Kariman (50), a resident of Paramanikpara claimed most of the 35 families in their locality have been affected by various arsenic-related ailments, including herself. 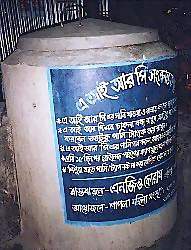 Devashish Dey, of Christian Commission for Development in Bangladesh, said one Durgapur resident needed to have both legs amputated due to advanced arsenic poisoning. "People in the area have been drinking arsenic contaminated water for a long time, as there still is no alternative for them," Dey said. Executive engineer of the district public health and engineering (DPHE) department, Md Saifur Rahman said arsenic has been found in varying levels in the groundwater of the district—38 percent of tubewells were found affected in the Sadar upazila, 17 percent in Shibganj, three percent in Nachol and in Bholahat. "In the municipal area alone, a massive 63 percent of the tubewells have been found affected, that is, with water containing arsenic at harmful levels," he said. On the causes of such large-scale groundwater contamination, engineer Saifur said: "It's been caused due to excessive withdrawal of groundwater for many years. We have to switch to using surface water more to avoid further disaster." Engineer Nazrul Islam, of Chanpainawabganj municipal water supply division, said: "After testing water samples of 20 deep tubewells sunk under an arsenic mitigation project, 14 were found to be highly contaminated with arsenic." 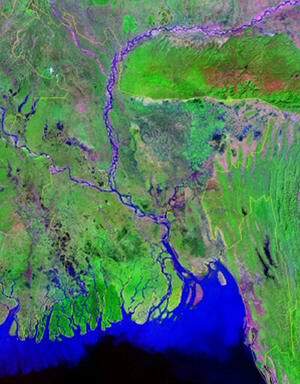 The World Bank-aided $44 million Bangladesh Arsenic Mitigation Water Supply Project was extended by a year from July 1. Execution of the project will now continue with the still unutilized $25 million as bank-funding for the four-year project closed on June 30. The project mainly aims to provide alternative sources of safe drinking water in the arsenic affected areas. This may sound fine on the surface, but if political will is missing, it will not take us very far. Political will is the most important factor in dealing with the contamination of groundwater by arsenic than anything else, therefore it is very important that the government acts decidedly on this issue. Arsenic poisoning is already harming the nation’s development as the sick have become incapacitated to the extent they can no longer work. This means they are unable to contribute to the economic growth of the country. Although we now know that groundwater right across Asia is contaminated and millions and millions of people are at risk, nowhere else are people more vulnerable or less able to cope with this massive environmental health catastrophe than the people of Bangladesh. There is therefore a need to give the people relief from what is poisoning them and their children but so far, it has not been given the importance it should receive. Every day the people of Bangladesh are dying from the “geological genocide” that has hit the country and unless it is given top priority we shall succumb to its onslaught. The fallen are unable to fight back as apathy has taken over their souls. But an estimated 88 per cent of the people are ignorant of the fact that they are dying from arsenic in the groundwater. The saddest part is the world either does not know or worse, does not care (Sylvia Mortoza et. al). The government has so far taken three major strategies. To identify the number of arsenic contaminated tubewells, label them with the color red for dangerous ones and green for safe ones. Conduct surveys for arsenicosis patients. To provide deep tubewells as an emergency measure in those locations where most of the tubewells are found to be contaminated by arsenic ( as aquifers at the level below 800 feet are found arsenic free). To provide treated safe surface water through pipes to the people. Simultaneously efforts are taken to alert the people regarding the danger of arsenic contamination of groundwater and what they should do in such situation. There are sixy eight thousands villages in Bangladesh and almost twothird is contaminated by arsenic. Public Health and Engineering under LGRD Ministry has been termed by the Transperency International as most corrupted Ministry. Now former BNP secretary general Abdul Mannan Bhuiyan and two others have been sued for giving death threats to a lawyer. In his complaint, Dulal said a group close to the then BNP-led coalition government threatened Transparency International Bangladesh (TIB) board of trustees Chairman Prof Muzaffer Ahmad after his organisation branded the LGRD ministry as one of the most corrupt ministries in Bangladesh. After the TIB report was published, they also threatened to sue Prof Muzaffer.When Dulal along with some other lawyers defended Prof Muzaffer and gave statement protesting the incident, he received death threats on July 17, 2006 (Daily Star, December 23, 2007). The first phase of Mitigation Program by the World Bank, Public Health and its associated NGOS have totally failed. They took several villages to model arsenic mitigation under very expensive projects, but almost all have failed. The scientists predict that long-term exposure to present arsenic concentrations will result in approximately 1.2 million cases of hyperpigmentation, 600,000 cases of keratosis, 125,000 cases of skin cancer and 3,000 fatalities per year from internal cancers. "These numbers are highly uncertain," said Harvey. "We put together available databases to see what they imply, but the dose-response models for Bangladesh remain very rough." Funding for the epidemiology paper was provided by the National Science Foundation (NSF), the Environmental Protection Agency and the Alliance for Global Sustainability. Co-authors are Winston Yu (lead author), a graduate student at Harvard University, and Harvey's father, Charles M. Harvey, who was a visiting scholar at Harvard University's School of Public Health at the time. Money that already spent for expensive conferences, consultants and many initiatives in the name of "arsenic mitigation project", if applied properly, people of Bangladesh would have been drinking water containing arsenic far below Bangladesh standard. Several NGOs have been given authority through the Department of Public Health Engineering (DPHE), to offer low cost services to prevent diseases caused by arsenic poisoning from spreading. One such project for the 'poorest of the poor' requires a group of fifty to donate as much as Tk. 4,500 in advance to receive a safe tubewell. But the government seems to have forgotten that there are many 'poorest of the poor who would not be able to gather any money, least of all the required amount (The Daily Star, June 22, 2003). All instalments are abandoned due to ill planning and construction. * This is difficult to know the exact figure, as officially they did not publish the expenses.Salary and transport costs of the government officials are not included here. The principal goal of this project is to introduce least cost-effective, efficient and appropriate method to obtain arsenic free water in the light of adaptability, social acceptance, sustainability and easy reproducibility within Bangladesh environment. We are pleased to see that many afforable persons in rural areas followed our principles and hired our trained personals, in other words, additionally thousands of people has been benefited. A project can not be succesful without the traditional, social, cultural heritage of the rural poor population of Bangladesh. NGOs are generically fund seekers and now provider of employment. Most of them have almost no reality beyond this. And this generally grovelling bunch conveniently represents the public face in the eyes of the donors who ultimately decide policies. Not because they want to but because they have to. The ability of the national counterparts is so low that they would not be able to formulate a policy without donor support. They are unable to disagree either because that might mean fund cuts. So it all ends up in the same basket. The risk of diabetes from drinking water is ten times higher in Bangladesh than USA, but it is equivalent to that of Taiwan. The epidemiological studies made by the researchers found out that the high levels of arsenic in urine may be linked with a higher risk of developing type2 diabetes. The findings, published in the Aug. 20 issue of the Journal of the American Medical Association, are the first to link low-level exposure to arsenic with type2 diabetes prevalence in the United States. The report was published in different newspapers including the prestigious The Washington Post. "This suggests that arsenic would play a role in the development of diabetes," said lead researcher Dr. Ana Navas-Acien, assistant professor of environmental health science at the Bloomberg School of Public Health at Johns Hopkins University. "But there clearly needs to be additional research conducted because our study has certain limitations. We are conducting those studies now, but that's going to take a few years." "This is a good base for future research but it's a small sample size and doesn't look at dose-response," added Rajat Sethi, assistant professor of pharmaceutical sciences with the Texas A&M Health Science Center's Irma Lerma Rangel College of Pharmacy, in Kingsville. "A lot of research still needs to be done." Inorganic arsenic from natural mineral deposits contaminates much drinking water. Individuals exposed to enough arsenic can develop cancer, among other conditions, experts note. According to background information in the study, about 13 million people in the United States live in areas with a concentration of inorganic arsenic in the public water supply that exceeds recommended levels. In animal studies, high concentrations of arsenic affected glucose and insulin mechanism - key factors in type 2 diabetes. And, epidemiological studies in Taiwan, Bangladesh and Mexico, which have relatively high levels of inorganic arsenic in drinking water, have associated arsenic with the development of diabetes. It's unclear, however, if lower levels of arsenic might have a similar effect. In areas such as Taiwan and Bangladesh, arsenic levels in drinking water are above 100 micrograms per litre, while in the United States the safety standard is only 10 micrograms per litre. "In terms of magnitude, people in Taiwan and Bangladesh are exposed to at least 10 times higher levels compared to people in the U.S.," Navas-Acien said. "We were interested in investigating if arsenic exposure at low and moderate levels could be related to diabetes." After analyzing 788 U.S. adults aged 20 and older, the study authors found that people with type 2 diabetes had a 26 percent higher level of total arsenic in their urine than participants without type2 diabetes. People with the highest levels of arsenic were almost 3.6 times more likely to have diabetes than people with the lowest levels, the researchers found. Those with the highest levels of dimethylarsinate (a compound into which inorganic arsenic is metabolized) had 1.5 times the risk of diabetes as those with the lowest levels. This was after adjusting for organic arsenic compounds such as arsenobetaine and arsenosugars, which come primarily from seafood. "When we adjusted for diabetes risk factors and for markers of seafood intake, we found this moderate-to-strong relationship between arsenic and the prevalence of diabetes," Navas-Acien said. In the United States, the main sources of inorganic arsenic are contaminated drinking water and food. An estimated 8 percent of public water supply systems in the United States may have arsenic levels higher than 10 micrograms per liter while 14 percent may have levels exceeding 2 micro grams per litre, the researchers said. "There are still many Americans with arsenic in drinking water at levels above safety standards," said Navas-Acien. "This reinforces how important it is that all drinking water is below this standard. The good news is that we can actually do something to eliminate arsenic from water." Small, rural and semi-rural communities may be at especially high risk for high arsenic levels in drinking water, Navas-Acien added (Moinuddin Naser in New York, Holiday, August 29, 2008).